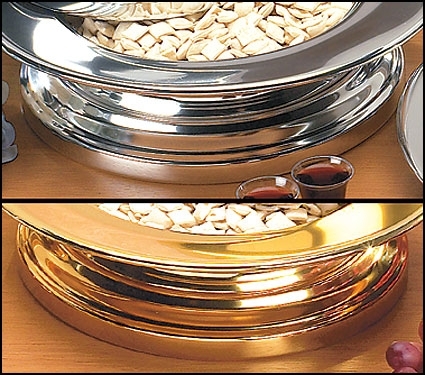 This stacking bread plate base from Artistic® is made of lightweight aluminum. For use with matching stacking bread plate (#61322, #61323 and #61250). Available in Brasstone or Silvertone. Specify finish when ordering.